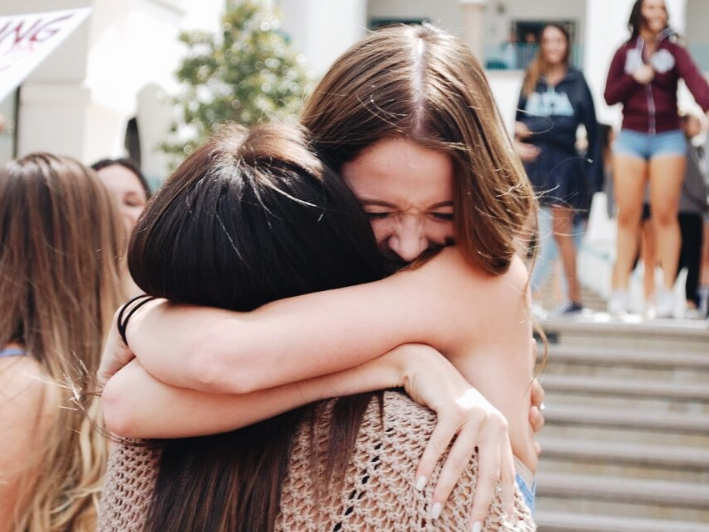 The Kappa Delta house at SDSU is a true home away from home. It has large chapter room where meetings and recruitment events are held and can comfortably hold more than 120 KDs. Our house, which is over 12,000 square feet, also has a sundeck, living room, dinning room, recreation room, and kitchen. Thirty three KDs reside at the house and are blessed to have an amazing chef and house mother. Lining the chapter room are composite chapter photographs of the hundreds of San Diego Kappa Deltas before us, who also found their home and their sisters in this beautiful house.